Four months after the leader of the Biafra Zionists Federation, BZF, Barr. Benjamin Onwuka was declared missing, he has now reappeared. However, he is now cooling his heels at the Federal Prison, in Owerri, Imo State. Ambrose Ugwu, the Deputy leader of the group, Mazi Ambrose Ugwu, who confirmed the development, said Onwuka was remanded by a Federal High Court in Owerri, Imo State. According to him, Onwuka was arraigned by the Department of State Services, DSS. 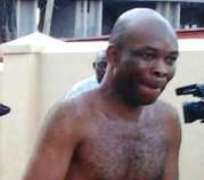 Before his arraignment, Onwuka was last seen in August during an encounter with security operatives. However, Ugwu, while speaking with journalists in Enugu, said his incarceration was unacceptable. According to him, “I can confirm to you that our leader has finally been arraigned in court by the DSS. “After keeping him away from us and other members of the public for over three months, they arraigned him at the Federal High Court, Owerri. The trial judge remanded him in prison on the premise that he may jump bail. “Our demand has not changed. The Biafra leader, Barr. Benjamin Onwuka has not done anything to warrant his being incarcerated. This is not but oppression and suppression of our rights to freedom as guaranteed under the Nigeria Constitution and other international treaties. “He should be immediately released unconditionally because they have done more damage to his rights already by keeping him incommunicado for over three months. “The DSS has no right to have kept him for such long a time without charging him to court. Now, that he has been arraigned, the claim of his jumping bail should not even arise at all.